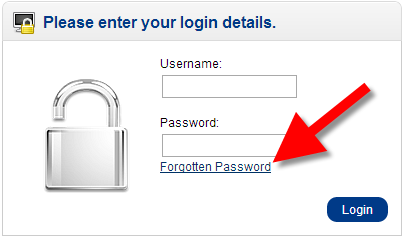 If you are unable to login to your OpenCart Dashboard, there is a Forgot Password link that can help you. In this tutorial we will show you how to Reset your OpenCart Password, so you can login to the Admin Dashboard. Go to your OpenCart Login page, and click the Forgotten Password link. 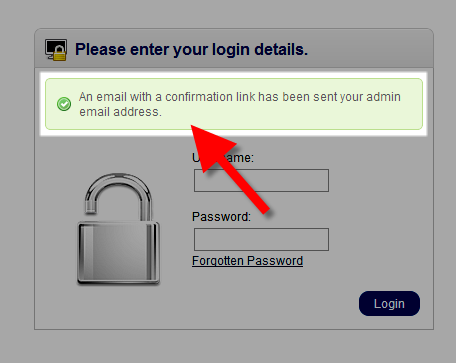 You will then see a message stating "An email with a confirmation link has been sent your admin email address." Check your email account and open the message with the subject "Your Store - Password reset request." You will then be on the Reset your password page. Enter a new password, in the blank fields, then click the Save button. You are finished when you see the "Success: Your password has been successfully updated." Now you can login to the OpenCart Dashboard. Warning: The E-Mail Address was not found in our records, please try again! On Step 2 above, when you entered your email address, you may have received the following message - "Warning: The E-Mail Address was not found in our records, please try again!" This message means the email address you entered was not correct. The following is a list of possible solutions. The Forgotten Password link should display in the default theme, even in the 2.0.2.0 version. Have you added a different theme or any modules that would remove that? I've installed oc in non www mode after, I decide it should be www (it looks good ) then I've made 301 redirect non www to www, thats it. its working in non www mode but in www mode its removed. I don't think that would affect the link not displaying. It should be there. If you have not added any content yet I would remove OpenCart and then reinstall it. If you are unable to use the Forgot Password link, you may also reset your OpenCart password from within the database.